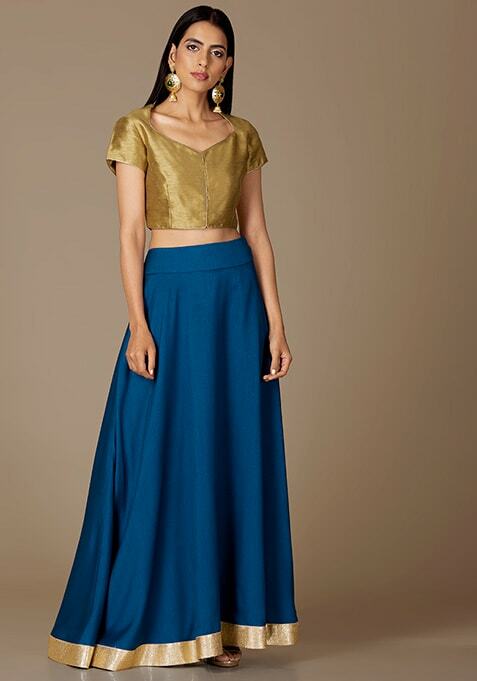 This blue colored maxi skirt is designed to render a dash of calmness and elegance to your ethnic look. Features gold lace border, concealed zip and hook closure. Work It: Try it on with a foil print crop top and complete your look with a mesh dupatta for a delightful look.